This month, Smart & Final Warehouse Store is helping you #ChooseSmart while celebrating March Frozen Food Month. Frozen food items are a great way to save time in the kitchen letting you enjoy the finer times in life. 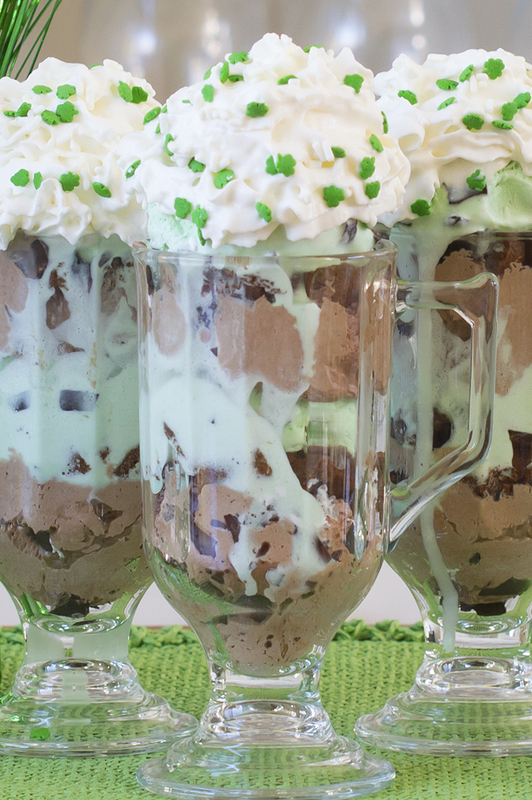 And with a little creativity, you can quickly and effortlessly transform almost any frozen food item into an amazing and delectable recipe, as I did with my Chocolate Mint Shamrock Parfait dessert below! 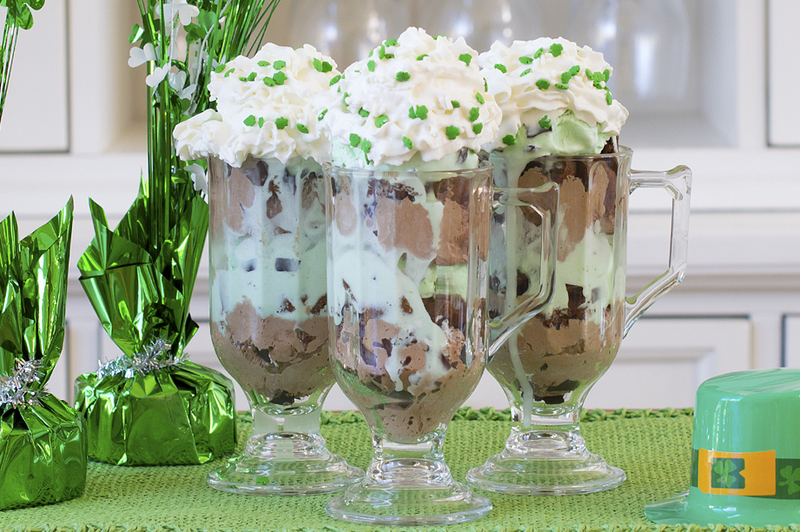 It will look like you spent hours in the kitchen creating this delicious Chocolate Mint Shamrock Parfait, but with the help of frozen food items from Smart & Final, you can WOW guests with this festive dessert in just minutes. Simply layer all the ingredients, one at a time, to create an eye-pleasing dessert perfect for any celebration! Thaw the Sara Lee Chocolate Creme Pie in the refrigerator as directed. The Sara Lee Chocolate Creme Pie looks amazing when it's thawed and ready to eat, but for this recipe, we are going to separate the chocolate from the cream. (Now's the time to grab little helpers if you don't want any part of the pie to go to waste). In a parfait cup, add one scoop (approximately 1/4 cup) of chocolate from the Sara Lee Chocolate Creme Pie. Add approximately 1/4 cup of the broken chocolate brownie pieces to the parfait glass on top of the chocolate pie. Add a scoop of Dreyer's Mint Chocolate Chip Ice Cream on top of the brownie pieces. Repeat the last three steps to create a six-layer parfait. To finish off your Chocolate Mint Shamrock Parfait dessert, top with whipped cream and festive Festive Holiday Sprinkles. Serve Immediately.